Dan is a Brokerage Associate working out of the Fort Worth office. Though he primarily focuses on landlord and tenant representation, Dan also works on big box re-development projects and revitalizing struggling shopping centers. 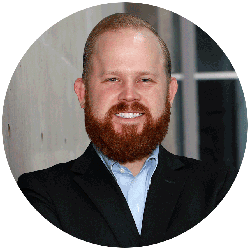 Moving over to The Woodmont Company from Marcus & Millichap, Dan previously worked as an investment sales associate serving clients throughout Texas, Oklahoma, Louisiana, Colorado, Arkansas, and Mississippi. Dan’s clients will benefit from his unique experiences gathered throughout his real estate career and his ability to understand the individual needs of his clientele. A native of the Dallas/Fort Worth area, Dan’s extensive knowledge of the surrounding market as well has his people oriented personality helps him excel in all facets of negotiation while providing the highest service and real estate insight to his clients.